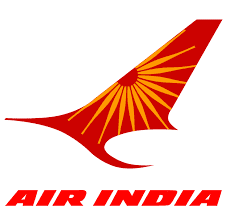 AIATSL Recruitment 2018-2019 for Security Agents Posts: Air India Air Transport Services Limited (AIATSL) Ahmadabad has advertised a notification for the recruitment of Security Agent – 40 vacancies. Candidates are Interested in the Vacancies details and passed 5th, 8th, 10th, 12th, ITI Pass, Graduate, PG, Degree/ Diploma Examination. Candidates can attend Walk-In-Interview on 28-10-2018 & 14-11-2018 hrs on wards. Qualified in Graduate any discipline (minimum 3 years duration) from a recognized University with ability to speak Hindi, English and conversant with local language, Candidates with valid Basic AVSEC and/or Screener Certificate qualified in valid basic AVSEC Certificate and/or Screener Certificate. Candidates age limit is 31 years for UR, 34 years for OBC, 36 year for SC/ST. Candidates selection will be based on Physical Endurance Test (PET) & Written Examination. Date of Walk-In-Interview: 14-11-2018 at 09:00 AM to 12:00 PM Hrs. Date of Walk-In-Interview: 28-10-2018 at 07:00 AM to 11:00 AM Hrs. A.G. High School and G & D Parikh Higher Secondary School, Commerce Six Road, Navranpura, Ahmedabad-380009. AIATSL Jobs Recruitment 2017-18 for Handyman Posts: Air India Air Transport Services Limited (AIATSL) has Released Recruitment Notification for Handyman – 100 vacancies. Interested for getting Handyman vacancies, Can Attend Walk-In-Interview on 09-12-2017 at 0900 to 1200 hrs on wards. Qualified in minimum experience of six months at Mumbai Airport in any of the areas or combination thereof, of Terminal Functions, Ramp Functions like Baggage / Cargo /Loading / Unloading and Aircraft Cabin Cleaning area with any Airline or Ground Handling Agency. The candidate should hold a valid AEP. Candidates age limit is 28 years for UR, 31 years for OBC, 33 year for SC/ST as on 01-12-2017. Applicant can deposit Rs.500/- Payment is to be made to “Air India Air Limited” through DD only payable at Mumbai. No Application fee in case of SC/ST/PWD and female candidates. Candidates selection will be based on Screening of application/ Group Discussion & Pre-Employment Medical Examination. Interested candidates apply may submit their application in the prescribed forms downloaded by visiting the website are required to WALK-IN in person, to the venue, on the date and time as specified above along with the Application Form duly filled-in & copies of the testimonials/ certificates (as per attached application format with this advertisement) and the application fee payment DD, coloured passport size photograph. Date of Walk-In-Interview: 09-12-2017 at 0900 to 1200 Hrs.